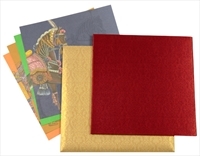 D-6139, Red Color, Shimmery Finish Paper, Designer Multifaith Invitations. Red color satin for thick card. 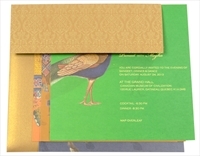 Inside interleaf and mailing envelope in greenish gold shimmer paper. 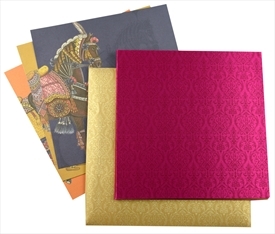 4 multi-color inserts showing decorated camel, horse, elephant and peacock. 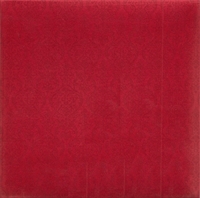 Silk Screen Printing in deep red color.